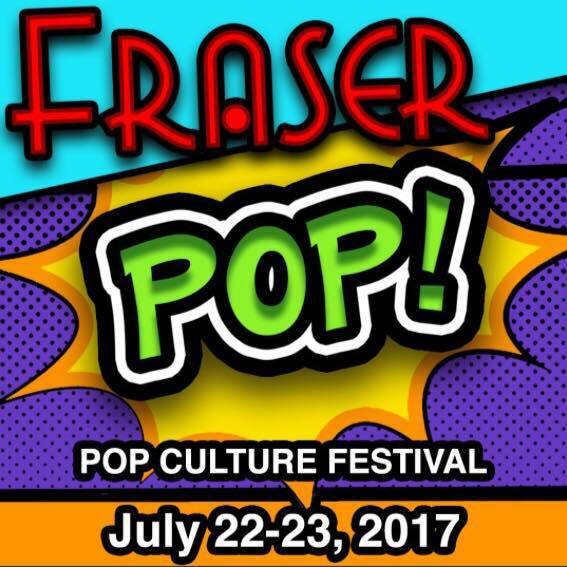 The boys informed me a week before the FraserPop Pop Culture Festival that they wanted to attend in costume. 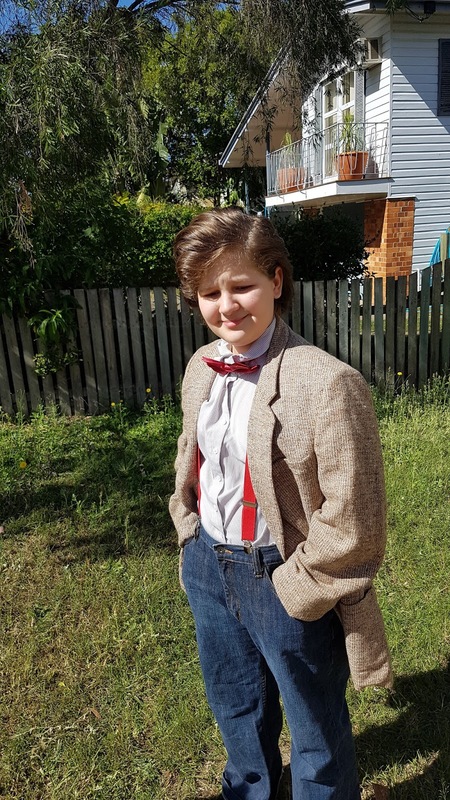 Mr C was having a particularly bad day with his chronic pain and then Mr E started trying on his old costumes, just the standard children's costumes you get at department stores like Kmart, Big W and Target, etc and Mr C perked up and asked about creating a 11th Doctor Costume for the Festival. 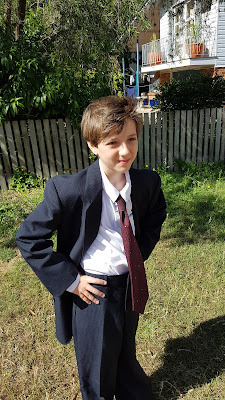 Mr E wanted to be the 10th Doctor but with only 1 week to create these costumes I was sure I would not be able to find anything to suit 10 that would be small enough for a child. 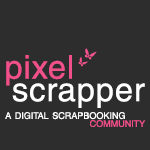 We started by searching ebay for what we knew we had no chance of finding in our small town, selecting Australian only stores to improve our chances of the items arriving in time. I didn't purchase them until after our op-shopping trip as I wanted to be sure we could get the other bits needed. From ebay we ordered a 11th Sonic Screwdriver, Red Suspenders and a Wine Red Bowtie for Mr C and a 10th Sonic Screwdriver for Mr E.
We set out to the Op-shops starting with Salvos as my local Salvos has the best variety of Tweed Jackets I have come across. 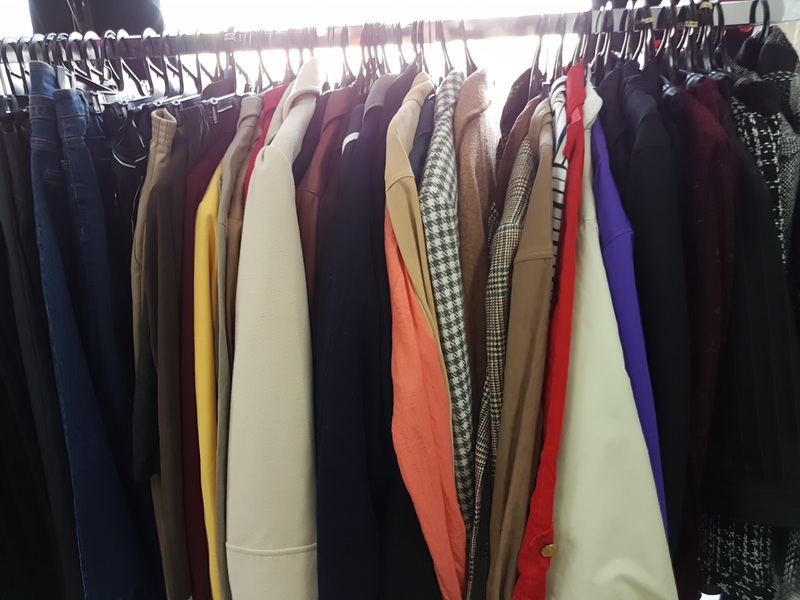 We found a suitable shirt and jacket at the Salvos, unfortunately the back of the jacket is damaged due to being burnt with a iron by the looks of it but we grabbed it for $1 just in case we couldn't find another jacket as suitable as this one. My MIL took the hem up during the week which meant most of the burn mark is no longer visible. Including his Sonic Screwdriver Mr C's costume had a total cost of $40, plus hair supplies. Then we headed to St Vinnies to grab him more jeans as the Salvos didn't have any jeans in his size, while browsing the men's clothing I spotted a lovely Navy pinstripe suite, I was really unsure it could be adjusted enough to suit Mr E but for $15 we grabbed it as a investment in future cosplaying. I also found a great Burgundy Tie to suit Mr E's 10th costume. The boy's Gran did a fantastic job taking in the suit, it is a temporary job so that it can be undone and taken in again next year when he is bigger. Including his Sonic Screwdriver Mr E's costume had a total cost of under $47 plus haircut. Mel at Hair Palace did a good job given she had never seen 10's hair before I showed her some photos on my phone. His hair was styled by his Uncle Lucas, he did a fantastic job with Mr E's difficult hair. Thursday I attempted to style Mr C's hair in 11th's style and his hair still hates product and holding a style. I used really strong wax and hairspray and it just flopped within minutes. He has the same hair as his sister and it took a very experienced hair dresser using the strongest products available and lots of pins to get her hair to hold a style for a ball she attended. Thankfully I had some success with Mr C's hair on Sunday morning after his Uncle Lucas had a try and suggested we try Mousse in addition to Wax. So I used Schwarzkopf Extra Care Push UP Volume Mousse, Fudge Urban Matte Wax and Hair Spray. I started by combing his wet hair to the opposite side to how it needed to be, applied a good amount of the Mousse and blow dried it to nearly dry. Then I flipped the hair over and did his part, applied the Wax and continued to blow dry as I shaped his hair. I finished it off with the Hair Spray. 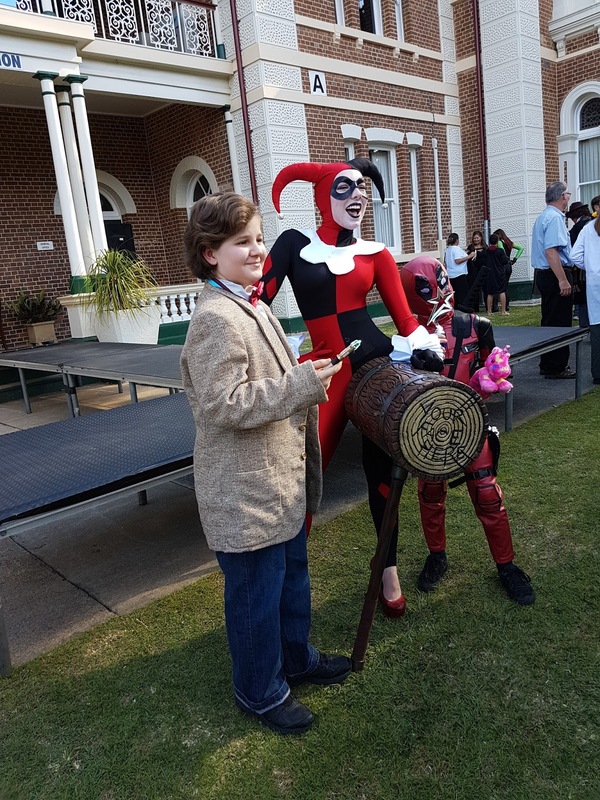 Mr C was very please to place second in the Children's Cosplay Competition. More about our day at the Festival coming soon. Thank you to the judges, Twerkin Gherkin, Paul Truscott and Michelle from Horror Closet who took the time to officiate the Children's Cosplay Competition. Mr C was very pleased to place second in the Children's Cosplay Competition.